A good Kukri, with its broad heavy duty blade, is a true power - able to cut, chop, slice and shear through even the toughest targets. 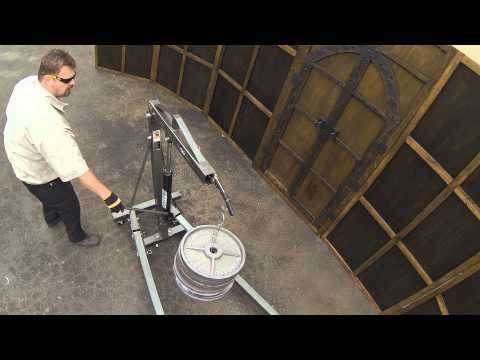 An outstanding multi-purpose tool that can put in exceptional work, as well as serve as a truly devastating weapon during wartime or in a last ditch self-defense situation. Inspired by this legacy of excellence, custom knife maker Andrew Demko developed our Rajah - a series of true folding Kukris that have proven to be instant classics! Exhibiting many of the best Kukri-like characteristics, their unique blade shape presents their thin, flat ground edges at just the right angle so they naturally bite deep, making cuts that way exceed other knives of the same size and weight. The Rajah handle also shares similar lines with traditional Kukris, with the addition of strategically placed curves and finger grooves for optimum grip and control. 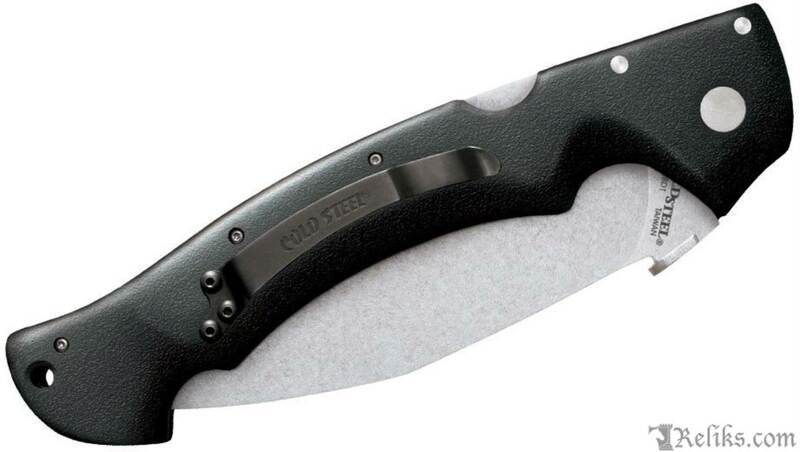 To counter the incredible impact forces generated by chopping strokes, we have equipped the Rajah series of folders with our world renowned Tri Ad locking mechanism, which has proven itself again and again to be virtually impervious to shock. Carry the Rajah series as you would any folder, using the clip to attach it to any reasonably sized pocket or clip it in your waistband. In an emergency all you have to do is grab it and open it in the conventional manner or snag its unique patented thumb plate on the edge of a pocket and snap it open with lightning speed. 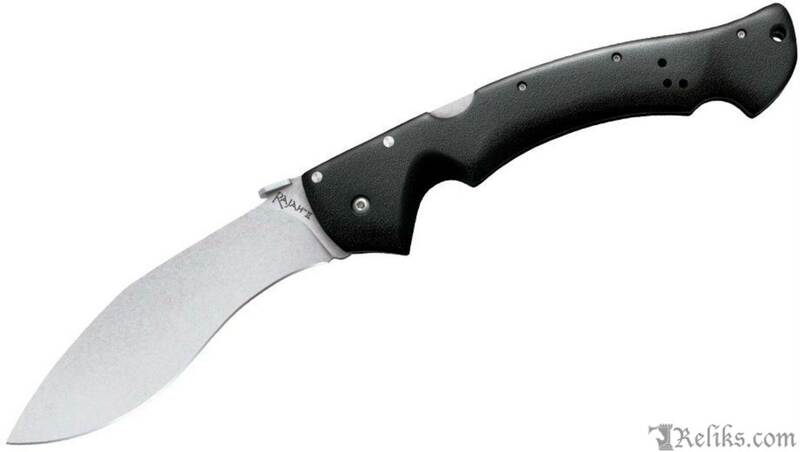 So try our Rajah series today and experience for yourself the power of a Kukri that can fit in your pocket! 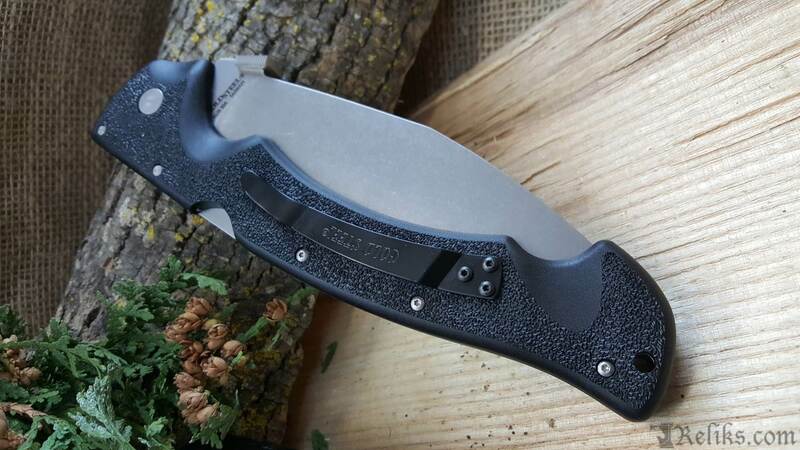 Cold Steel Rajah Ii - Inspired by this legacy of excellence, custom knife maker Andrew Demko developed our Rajah - a series of true folding Kukris that have proven to be instant classics! Rajah Ii - Carry the Rajah series as you would any folder, using the clip to attach it to any reasonably sized pocket or clip it in your waistband. 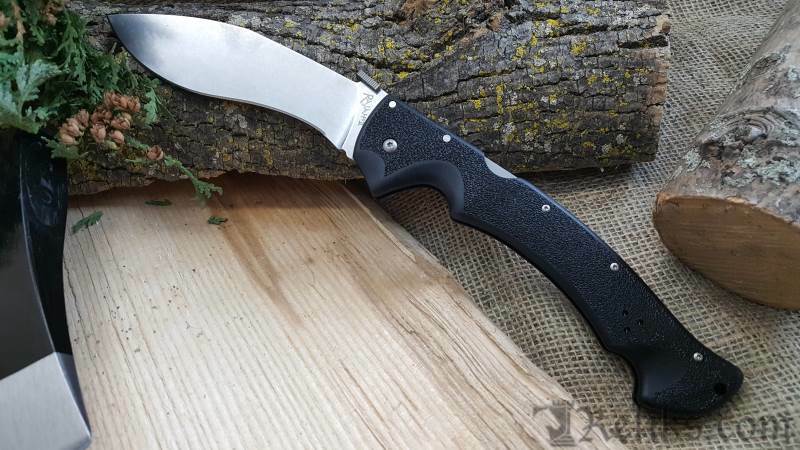 In an emergency all you have to do is grab it and open it in the conventional manner or snag its unique patented thumb plate on the edge of a pocket and snap it open with lightning speed. 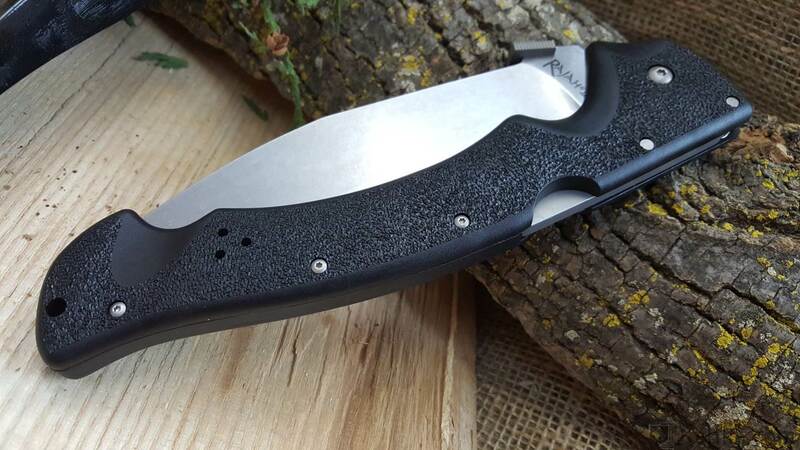 Rajah 2 Folding Knife - The Rajah handle also shares similar lines with traditional Kukris, with the addition of strategically placed curves and finger grooves for optimum grip and control. 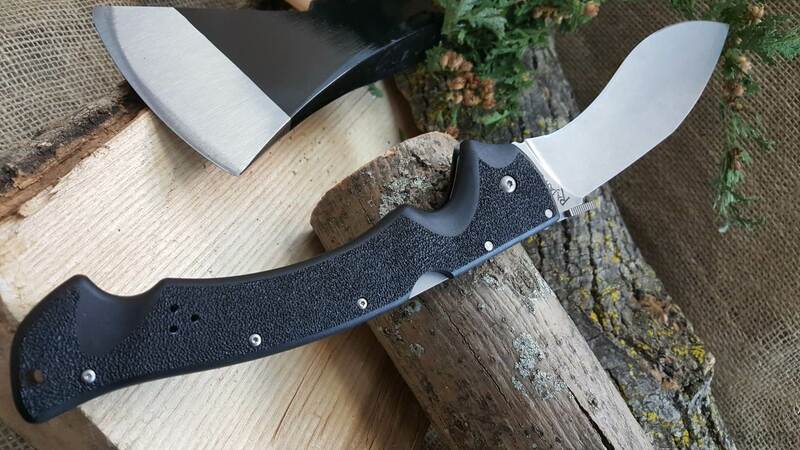 Rajah 2 Knife - Exhibiting many of the best Kukri-like characteristics, their unique blade shape presents their thin, flat ground edges at just the right angle so they naturally bite deep, making cuts that way exceed other knives of the same size and weight. 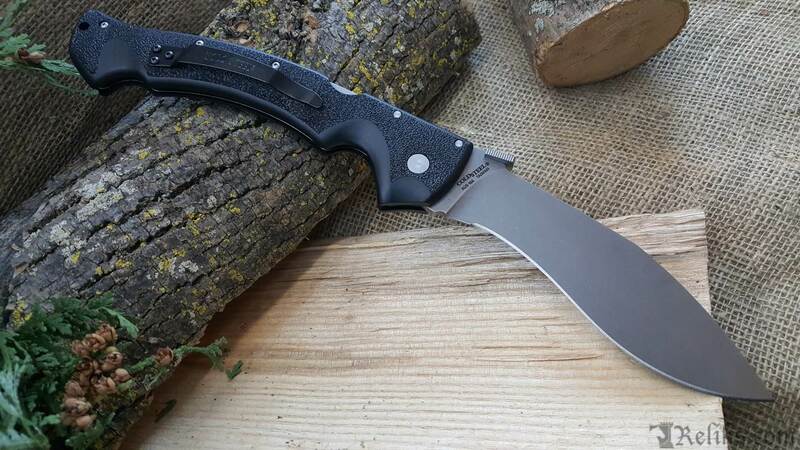 Rajah Folding Kukri - Cold Steel have equipped the Rajah series of folders with their world renowned Tri Ad locking mechanism, which has proven itself again and again to be virtually impervious to shock. 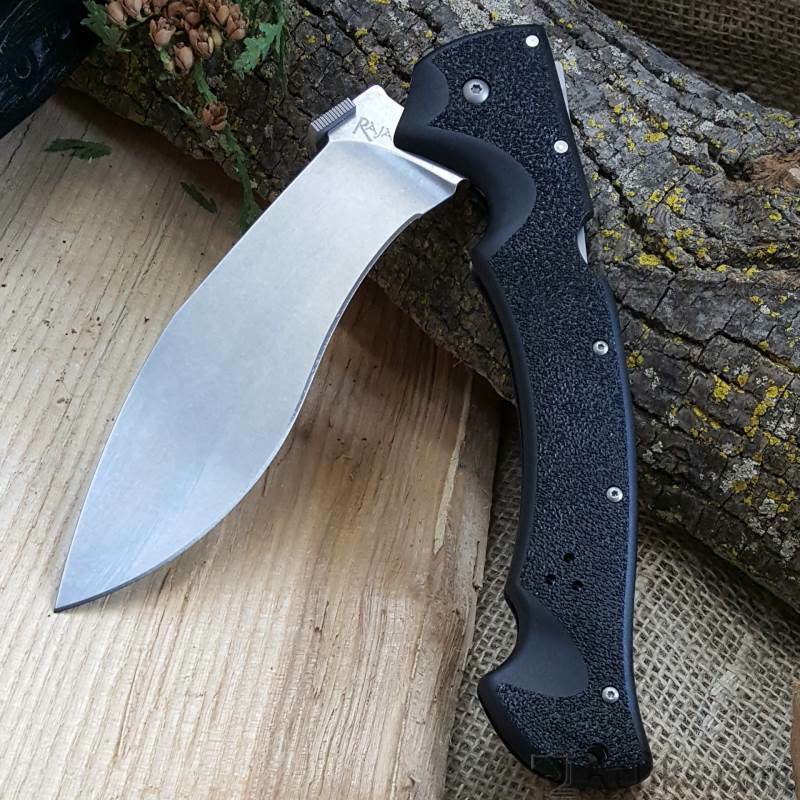 Andrew Demko Rajah Knife - Try our Rajah series today and experience for yourself the power of a Kukri that can fit in your pocket!